Bitcoin has been credited with revolutionizing and democratizing money production and has been accused of abetting illegal sales on the Black Market. In March 2017, the online currency’s value ($2,637.82 at the time of writing) even surpassed the value of an ounce of gold ($1,237). For such a young currency, Bitcoin has made an inescapable splash across the world and it seems that influence is only increasing. 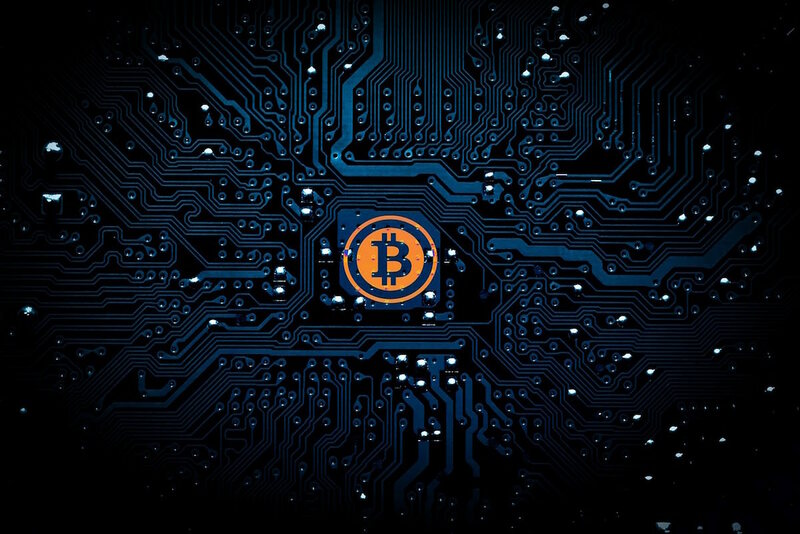 As more people choose to use Bitcoin and as more companies choose to accept it as payment, we should all understand what exactly Bitcoin is, how it works, and what it means for cybersecurity. Bitcoin is a decentralized online currency or cryptocurrency created in 2009 by an unidentified person or group using the alias Satoshi Nakamoto. To make bitcoin transactions, you don’t need a middleman, such as a bank or credit card company. All transactions are made online and are managed by a public network of individuals. There are no setup fees, prerequisites or spending limits, and it can be used in every country. While these are all very enticing features, perhaps the most alluring aspect of bitcoin is the ability to remain completely anonymous. For more on cryptocurrency, check out this infographic by CoinCentral.com. To start using bitcoin, you first set up a digital wallet that’s assigned a random number. This is your bitcoin identity. It’s not attached to your name or any other personal information, making bitcoin the currency of choice for illegal transactions like drug deals, money laundering, or cyber crime. For a detailed breakdown of how a blockchain works, check out The ultimate 3500-word guide in plain English to understand Blockchain by Mohit Mamoria. Who Uses Bitcoin and How Do I Buy It? How Does Bitcoin Affect Cybersecurity? The best aspect of bitcoin, the fact that it’s decentralized, could also be its downfall. The anonymity of the bitcoin wallets, and the ease and security in which users can transfer currency from one user to the next, opens the gateway for cyber criminals. Unlike a wire transfer between banks that must be done manually, for instance, a bitcoin transaction can be automated, allowing cybercriminals to launch larger-scale attacks with higher profit and less risk. For example, ransomware attacks, (where a hacker takes a server’s data hostage and won’t release it until the owner of that data pays a ransom), are only made easier with bitcoin. The hacker can demand payment be sent to multiple bitcoin wallets, each with a unique code, making it very difficult to track down the original sender. Once payment is sent, the hacker sends you a piece of code that is supposed to decrypt your files. What if you don’t have a virtual bitcoin wallet? That’s only a small hiccup--anyone with a computer can quickly download bitcoin software and buy bitcoin using U.S. dollars or euros. The hacker simply has to provide the instructions for you to do so. The WannaCry ransomware attack in May of this year only hinted at the malicious potential for this type of criminal activity with an online currency like bitcoin. (The WannaCry attack demanded just $300 in bitcoin to decrypt the corrupted data.) As bitcoin increases in value and as more individuals and companies invest in larger quantities of bitcoin, hackers will demand a higher ransom. In fact, Dr. Simon Moores, a former technology ambassador for the UK government and chair of the annual international e-Crime Congress, says big banks are stockpiling bitcoin as ransom reserves. Bitcoin, of course, isn’t the only reason cyberattacks are gaining power. With the exponential increase of devices that are connected to the internet, otherwise known as the IoT (internet of things), hackers have more ways into our data systems than ever before. We’re all becoming increasingly exposed to cyber attacks and with bitcoin, it’s become much easier for cybercriminals to make a profit and much harder to track down the culprit. So, should you invest in what many are calling the currency of the future? For many businesses, bitcoin is an affordable way to conduct transactions and as long as the majority of the miners stay honest, your money is in safe hands. Just be wary of putting all your eggs in one basket. For now, cash is still the dominating currency and although we know even the biggest banks can fail, storing all your investments in the cloud comes with its own set of risks. For more information on bitcoin, check out The Ultimate Beginner's Guide to Bitcoin from the King Passive blog on investing in cryptocurrency.